1. Open the login screen as you typically would. On the web, this means pointing your browser to goformz.com and clicking the Login link at the top. On your mobile device, this just means tapping the GoFormz app icon to launch the app. 2. Click/tap the Forgot your password? link underneath the Login button. 3. In the Forgot your password? 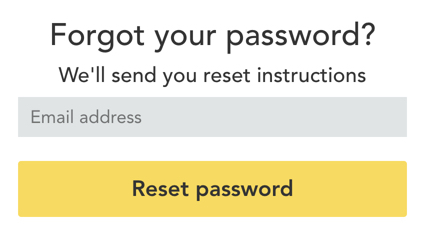 screen, enter your email address and click/tap Reset password. 4. Check your email. You should have an email from GoFormz titled “GoFormz password reset link”. Open the email and click/tap the link within it. 5. 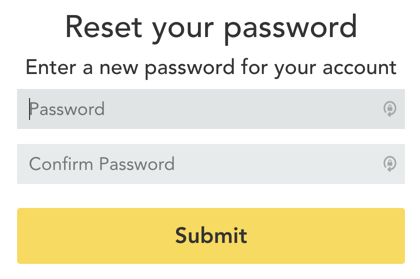 In the Reset your password page that opens in your browser, enter your new password twice and click/tap Submit. Your password has been reset! 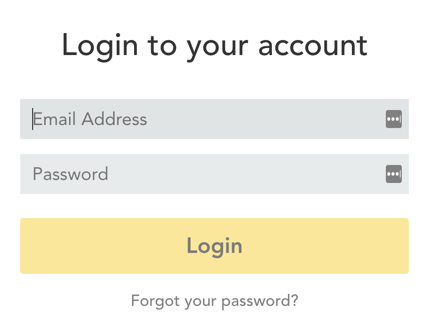 Go back to the login screen, and log in with the new password you just created.